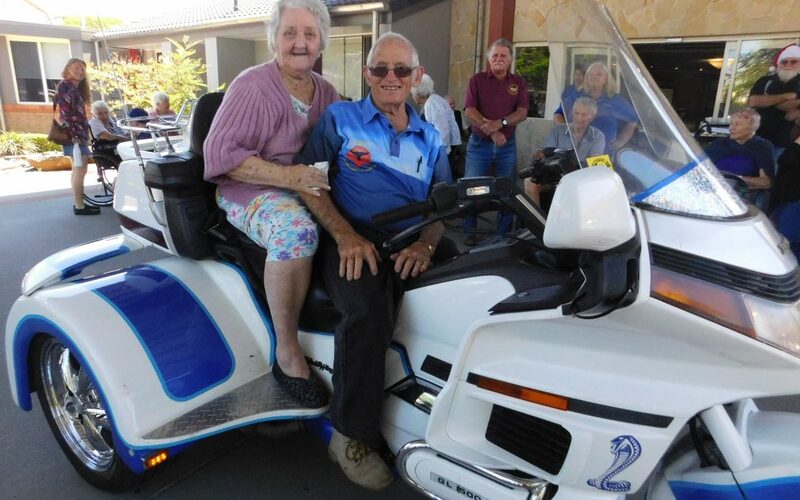 The Ulysses Motorcycle Club rode down Crowley Drive for their annual Christmas visit, bringing with them a bounty of merry cheer, laughter and huge smiles. Residents flocked to join them for morning tea under the front portico. The residents enjoyed a chat while reminiscing and comparing bikes and stories.